This medium evergreen shrub is a member of the Rhododendron family and originates from the mountain areas of North America. 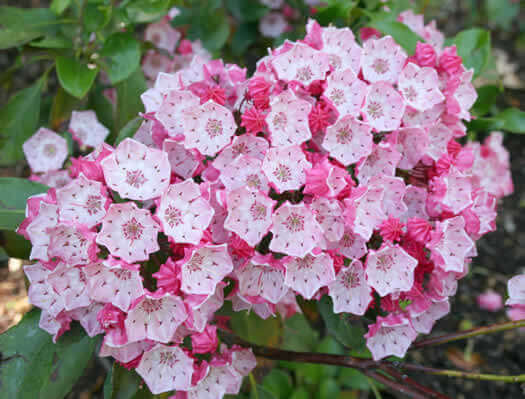 The dark pink flower heads have buds which open to pink - soft pink, dainty wedding cake type flowers. A little rarity. These shrubs are understory plants. They are leggy growers by nature and therefore they are not perfectly shaped shrubs.